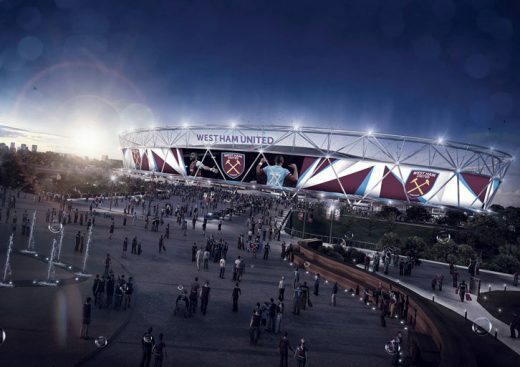 West Ham United confirm that a planning application has been submitted by E20 LLP for a spectacular wrap solution for the former Olympic Stadium, which, if approved, “promises to set a new benchmark in world stadia”. 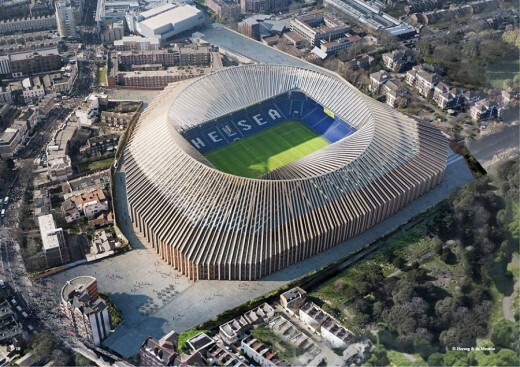 The Club and its stadium partners have worked with leading digital experts to develop an optimum solution that would revolutionise the exterior of the Stadium. It would see the largest digital screens in Europe, measuring a massive 83m by 12m, installed on the outside of the Stadium. 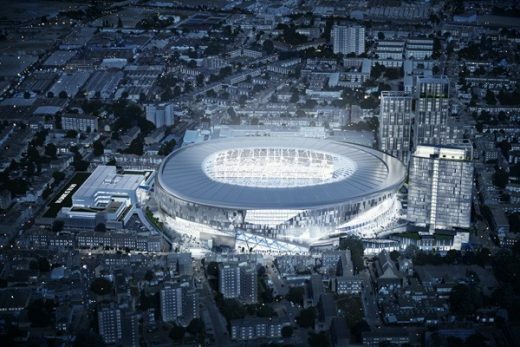 If approved, the new installation will provide immense benefit to all partners of the Stadium, enabling events throughout the year, including West Ham United matches, to have a highly-visible, cutting edge digital platform for content, information and promotional material, all in HD. 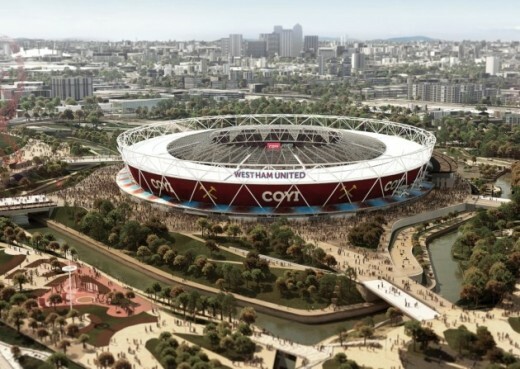 For West Ham matches, Hammers fans will be able to enjoy clips of their heroes as they make their approach to the world-famous venue they will call home from August. 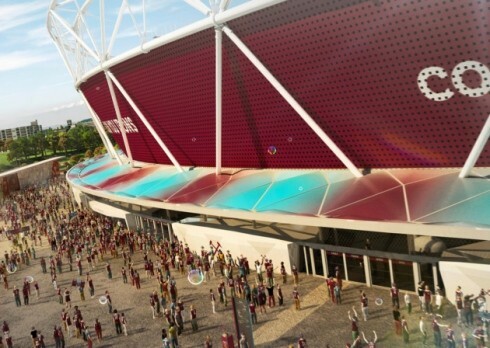 The exciting new plans – which replace the previously submitted application – also include including prominent, Olympic legacy-inspired Claret and Blue shards and the Club’s crest and colours, in addition to branding and advertising. 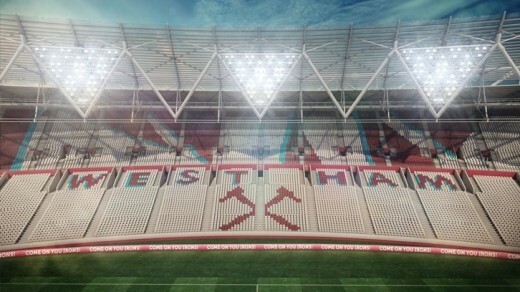 This is key to the Club’s absolute commitment to ensuring the Stadium looks and feels like the unmistakable home of West Ham United. Following the installation of claret seats, the Hammers’ world-class playing surface is now beginning to take shape in readiness for the big 2016/17 kick-off in August. The pitch comprises of both artificial fibres – Desso Grassmaster –and natural grass, with the former already being sewn into what is to become a pristine new Premier League surface. The turf, however, will only be in its final football-ready state after the completion of this summer’s athletics and musical events at the former Olympic Stadium. As the Club’s moving-in date draws ever closer, supporters can look forward to more regular updates like this on whufc.com in the coming weeks and months. 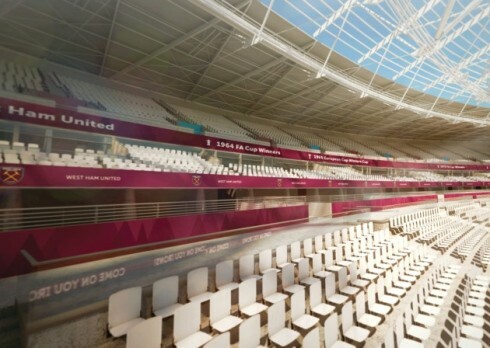 The venue that hosted the 2012 Games is being transformed into a UEFA Category 4 Stadium – the highest possible classification – ready to become West Ham United’s stunning new home from August 2016. By the time the Stadium transformation is complete, 5,000 people will have worked a total of 2 million hours on the project. The peak workforce will see 500 people on site, with more than 30 apprentices recruited from the local area. – For those fans wanting to make their own mark in history, Champions Place will also feature personalised message stones in the different legends’ sections so that your names can be immortalised alongside theirs. 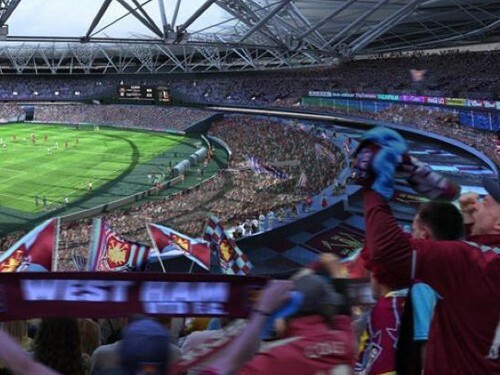 With all these features, the magnificent, world-famous Stadium will be designed both inside and out to look unmistakably like West Ham’s new home, and make every Hammers player and fan proud to call it such. 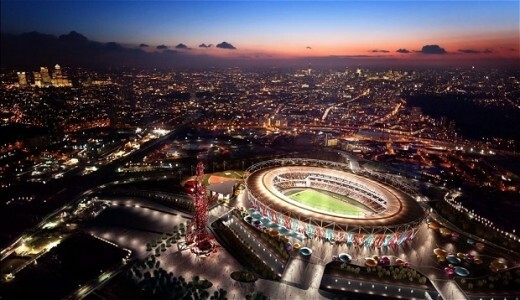 Olympic Stadium reopening delayed until 2016 after modifications are required by potential bidders, report the Daily telegraph. 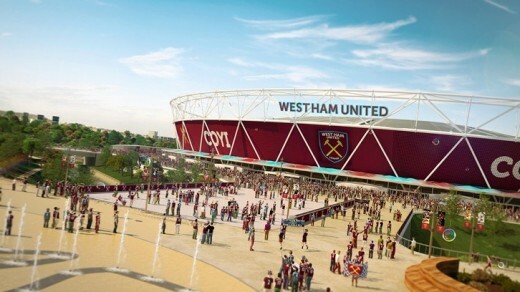 The Olympic Stadium may not be ready for West Ham United or any other football tenant until the start of the 2016/17 season, Olympic Park officials have warned. 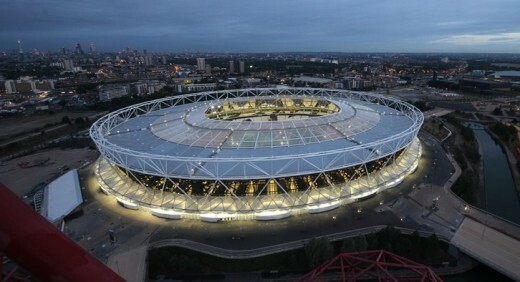 The London Legacy Development Corporation is still deciding whether to accept any of the four bidders – West Ham, Leyton Orient, Formula One and the UCFB College of Football Business – seeking a 99-year lease on the £500 million stadium, some of which requires substantial modifications, including providing a roof to cover all of the seating, and possible retractable seating. 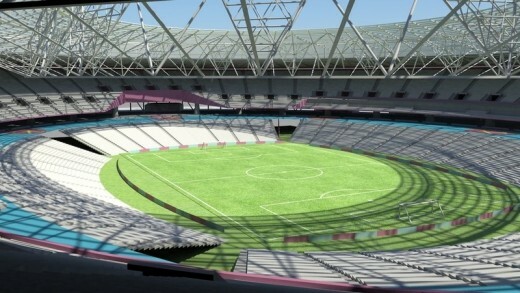 West Ham’s requirements for new seating and a roof has been roughly estimated at costing £200 million. 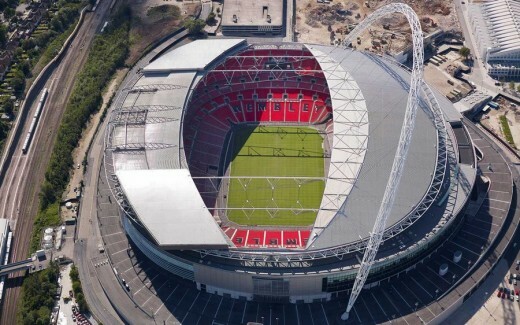 Dennis Hone, the LLDC chief executive, told the London Assembly that there have been no formal bids from an NFL American football franchise, although the London Mayor, Boris Johnson, and others had held “encouraging” talks about stadium management with NFL executives during a recent trip to the capital. Although football was still among the front-runners to take up tenancy of the venue, Hone insisted a 2014 reopening was out of the question.